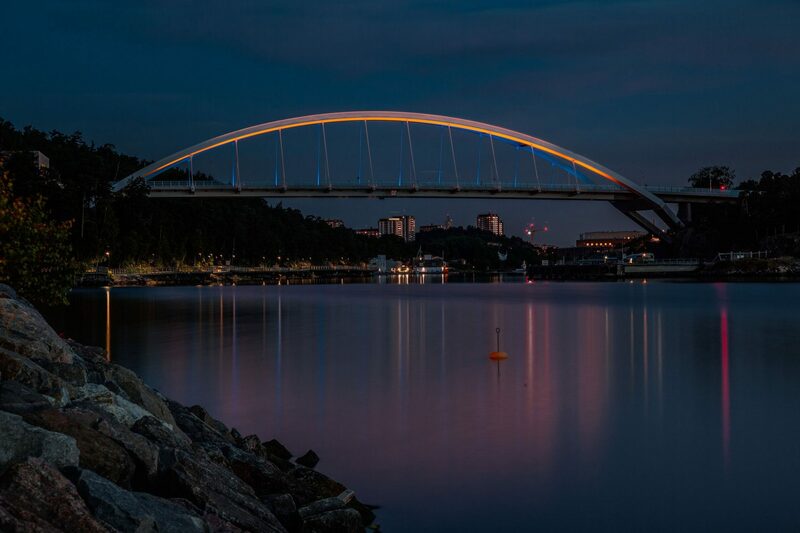 Bridges are often considered to belong to the realm of engineer rather than that of architect. However, such infrastructure has a powerful impact on the environment. 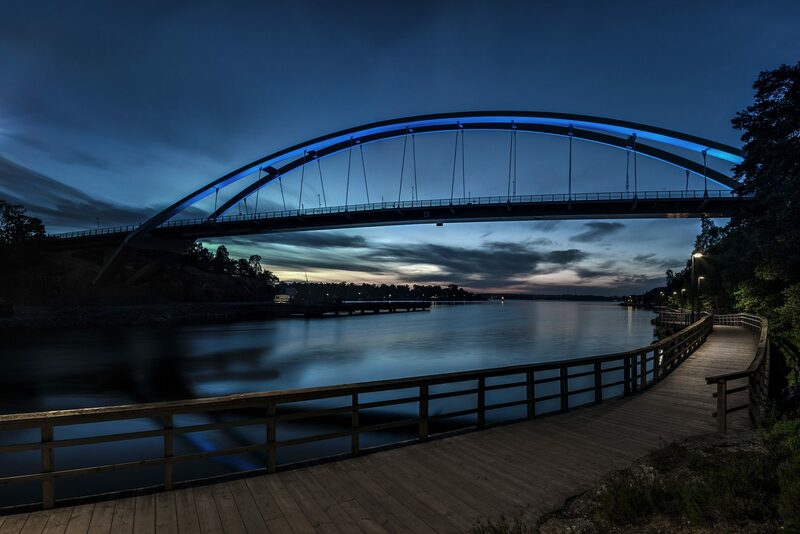 Nacka bridge, designed in close collaboration with structural engineers, illustrates how the architecture can play an integral role in the design of bridges. It follows complex aspect, expressing a fascination in relationship between function, technology and aesthetics in a graceful structural form. 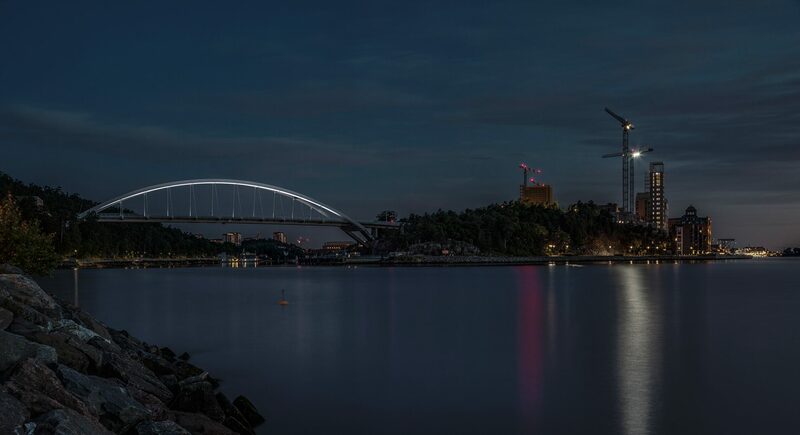 Located in Sweden, eastern part of Stockholm suburb, it connects new Kvarnholmen development with motorway networks of Stockholm, opening up a direct route from Nacka to Kvarnholmen. The bridge crosses the bay, which runs along Kvarnholmen peninsula. Interestingly, alternative readings of the topography suggested several possible structural approaches: to celebrate the act of crossing the bay via 145 m wide arch was considered as the most natural solution. In this particular example, the edge of the arch was moderated by surroundings hills that project own genetic to the edge of the arch. Such shape and surrounding topography unite in one compact form – man made structure meets natural landscape.